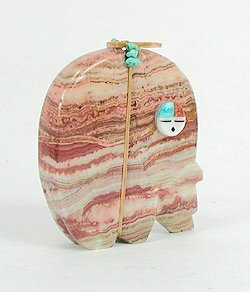 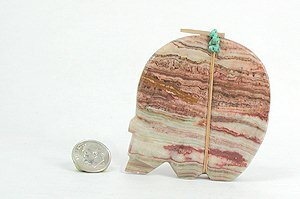 Red banded agate bear with turquoise inlaid eyes. 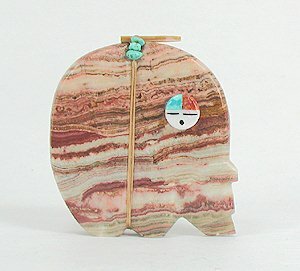 Sunface God's Eye handmade from mother of pearl, spiny oyster, and turquoise. 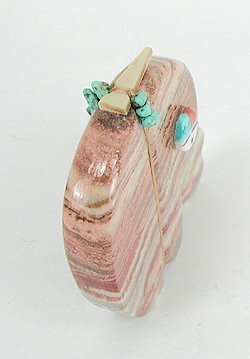 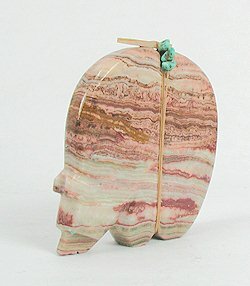 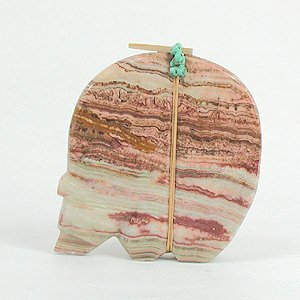 Medicine bundle of mother of pearl arrowhead, and turquoise nugget heishi.